The so-called White Helmets civil defense group are preparing to film a staged chemical attack in Syria and blame it on the Syrian government as a pretext for war, Russia has warned. 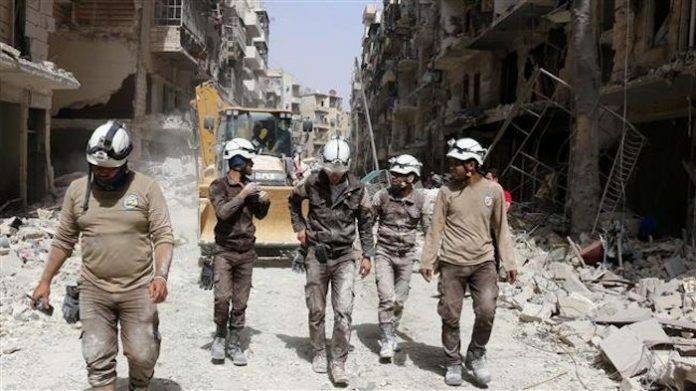 Russia’s Foreign Ministry spokesman, Maria Zakharova, said there were reports that the White Helmets had installed cameras in several hospitals across Idlib to film the capture atrocities. Zakharova concluded that Moscow has urged Washington to withdraw its troops from Syria as soon as possible, calling for the return of all Syrian territories to the Damascus government’s control.